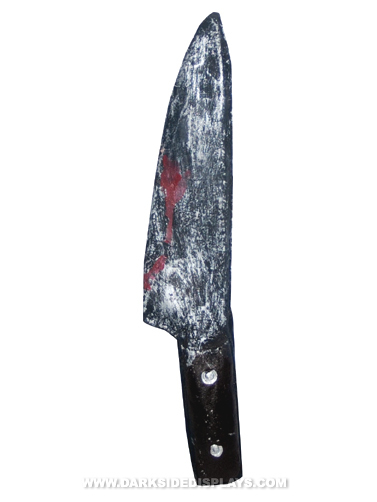 Add this aged looking latex knife to your display scenes or use as a costume accessory. Looks like blood stained metal with a wooden handle, but has the feel of soft latex. Wire form inside keeps the knife shape. Very lightweight, won't weigh down other props when used together. Latex Knife Prop measures 10.5"L x 2"W.